BWB Technologies UK - Flame Photometer Experts Pushing the boundaries of flame photometry. 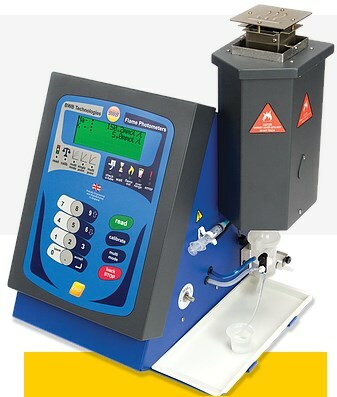 What can be achieved with a flame photometer has been redefined by BWB Technologies. With unrivalled accuracy, low cost and ease of use the BWB flame photometer is not only the best flame photometer available but is the first real alternative to AAS (atomic absorption spectrometry) and ICP (induced coupling plasma) for measuring Lithium Li, Sodium Na, Potassium K, Calcium Ca & Barium Ba .BWB Technologies are an American owned, UK company focused on the design, manufacture and sales of award winning flame photometers. Drawing on an Anglo-American team of leading industry specialists we strive to create high quality, cost effective products that redefine what is achievable with a low temperature flame. From our manufacturing plant in Newbury, England, BWB Technologies have introduced a series of flame photometer products, and accessories, which exceed existing expectations in terms of specification, usability, accuracy, reporting, build quality and value for money.